God has spoken again—to awaken the world, to prepare the world, to strengthen the human family, to bring forth its greatest assets, so that it may utilize the wisdom of its religions, the wisdom of its culture and the many successes that humanity has achieved in the building of a world civilization. Everything will be challenged now. Do not think that the good will prevail. Do not use this as an excuse to shrink from your responsibilities. Do not ask God to save the world, for God has sent you and others into the world to save the world. You do not know how to do this, really, if you are honest and humble within yourself. It is a matter for Knowledge to guide you step by step. For this you have to live without answers. You have to give up your weak assumptions and become close to life, close to the moment, where you discern what is coming over the horizon. Passage from “The New World”. 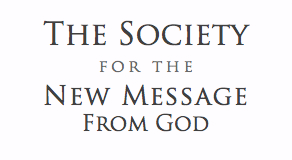 Join the Free School of the New Message and become part of a worldwide community studying and bringing The New Message to the people.